← Boy is THIS fun. Hah! Or, How I Stopped Calling Yahoo! And Fixed It Myself. I’ve called Yahoo! seven times. SEVEN TIMES over the past two weeks. Every person I spoke to had a new and different idea of how to configure the anames and cnames so that they pointed to WordPress. The reps were all really nice. But none was able to get my website moved over here to WordPress. Well, some were close. One actually got it to work, but at the cost of disconnecting my email, so, no, I don’t consider that attempt a success. I finally decided to contact WordPress, but they haven’t responded yet. It gave me a bunch of numbers, aka the IP address that my WordPress website (newly stripped of the www.) was pointing to. I wrote it down. I then typed in “ping www . 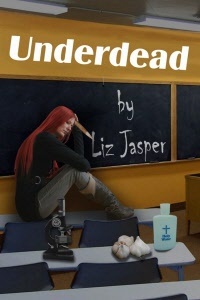 lizjasper . com”. A DIFFERENT IP address. A hah! I copied and pasted both IP addresses into my browser and found out one of them pointed to WordPress. So I popped back over to my Yahoo account and changed the aname on my domain to the WordPress IP address. A half our later, the “Under Construction” sign that was the latest plague brought upon my poor website by Yahoo was gone and my WordPress website appeared. In all it’s POS glory. It’ll get prettied in due time. Now that I can see the darned thing, I’m willing to bother working on it. But I’m learning as I go, so it’s not going to be pretty overnight. And pretty is relative. That’s another reason to write paranormals. I get to create a world, and in my world, pretty websites are for sissies. That’s going to be my firm opinion on the matter–at least until my website looks better. 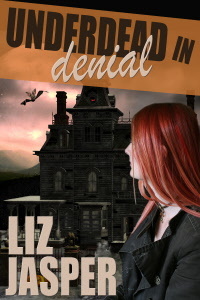 This entry was posted in Uncategorized and tagged cozy mystery, EPIC, EPPIE, funny, funny mystery, humor, humorous mystery, ip addresses, liz jasper, liz jasper author, liz jasper writer, mystery, novelist, paranormal mystery, underdead, underdead in denial, vampire, vampire mystery, websites, wordpress. Bookmark the permalink.